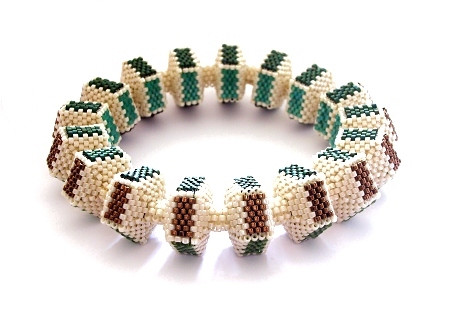 This bracelet was the second of its type I made. Whereas the first had the face colours mixed, this one has each colour just appearing on one face. I enjoy beading this type of bracelet, but after beading two similar ones in a row, I decided to move on to another shape.